Our AFM confocal spectroscopy instruments are the most cost effective solution to achieve optical spectroscopy on nano scale. 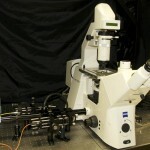 They cost up to 50 times less than AFM microscopy–spectroscopy systems with similar characteristics. 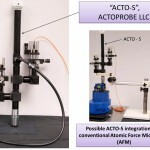 You do not need to buy a new AFM. 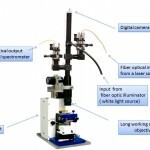 You just purchase from us an addition to your existing AFM to do optical microscopy and spectroscopy. You are welcome to contact us if you do not see the product you need listed here. We will be happy to discuss your requirements and modify or customize our products to meet your needs.